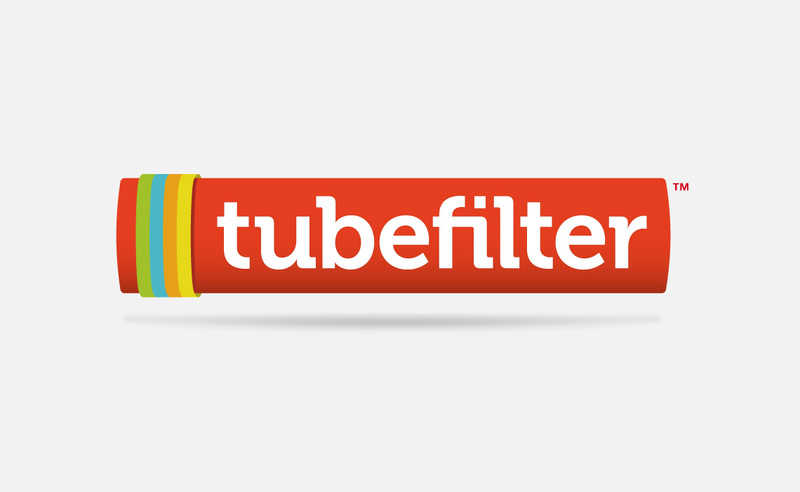 We write about quite a few deals on Tubefilter, web series that inked pickups from BET or Hulu or MSN, but we got to thinking that there’s more to the story of online video than just the weddings. Why not see peek into the more colorful dating life of these projects? 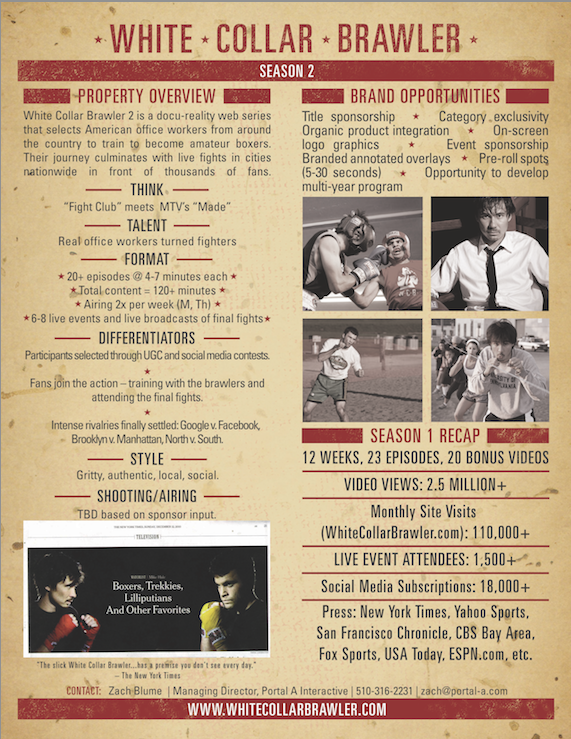 Luckily, we were able to talk Zach Blume and Kai Hasson, the guys behind one of our favorite series of last year, White Collar Brawler, into sharing their one-sheet pitch for Season 2. Part of the deal was complete candor, with everything from view counts to production budgets. The goal here is to share with readers what WCB is out on the market pitching with, and see how it works out for them. It’s never as easy as a just having good logline, but those help. “Fight Club meets MTV’s Made” is what they are leading with. 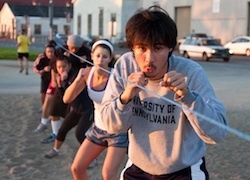 For background, the docu-reality web series launched last September, following two former office workers in San Francisco—Hasson and Nate Houghteling—on a three-month journey to document their indoctrination into amateur boxing. “The blood, sweat, tears you’ll see are real. The punches to the jaw are real. This is really happening,” they reminded us as they prepared to face off against each other in one final boxing match. Throughout the season they would link up with trainers, nutritionists, boxing coaches and of course a growing number of fans who vicariously embraced their twentysomething bravado. 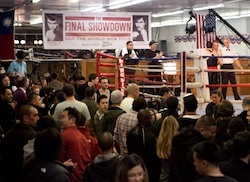 Live events would become a core part of their season, with one boxing face-off pitting employees from various top Bay Area tech giants like Google, Zynga and Apple against each other in a “Tech Beat-Up.” It would even help score the series nationals press hits like The New York Times, San Francisco Chronicle and ESPN. Now the three-man team, which formed Portal A Interactive as their production company, is looking for sponsorship and distribution partners for Season 2. Let’s take a look at the numbers. Views for the first season, which banked most of them on YouTube and blip.tv, came in at just over 2.5 million across 23 episodes and 20 bonus videos. 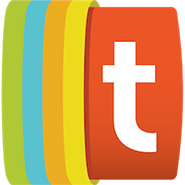 During the peak of the show’s season, they notched over 110k visitors to the show’s site, and a social media footprint on Facebook and Twitter of over 18k. And for their live events, over 1,500 showed up to cheer them on and make side bets on who would come out the victor. Creatively, the team is setting its sights higher for the new season, planning on following a cast of 12 ‘white collar’ fighters in six U.S. cities training to be the ultimate boxing champion of the group. Twenty episodes of White Collar Brawler 2: America Fights are planned, each one around four to seven minutes, released twice per week. To find the contestants, they will be casting through video submissions by fans driven through their social media channels. It also looks like they will be working the rivalry angle again too, but this time going after some deeper feuds—North vs. South, Brooklyn vs. Manhattan, and the recently heated Facebook vs. Google. We’ll check back on the progress of their pitching Season 2 later this spring. And if you’re interested in contacting the WCB team, email zach [at] portal-a.com. What do you think? Who would be the ideal sponsor or distribution partner for White Collar Brawler?